Lines under the ground. Most utility lines buried at a homeownwers property are placed in the backyard. Knowing where these lines are located before the grading process begins are essential. Some homeowners know where they are, but if you do not you will want to call Utility Protection Center at 1-800-282-7411 and have your lines marked. Septic Lines. If you are on a septic system the you will most assuredly have lines under where you want the pool to be placed. This is no worry. Above ground pools may be placed over top of septic lines (which 80% of the pools we install are). A standard septic system line is too small to worry about crushing the lines. The only precaution is that the lines are not hit while grading. County code requires the lines to be 36″ under the ground, so as long as you are not placing the pool where there is a steep grade and a great deal of digging into the ground is required, then you should be fine. Your county’s Environmental Health Department can furnish you with your septic lines diagrams, usually at no charge. County Codes. Most county codes require a pool to be at least 10′ from the house structure or property lines (including fences). However, all counties carry their own requirements. Call your county building department for details. Aside of these three factors, you can put your pool wherever you choose. I tell customers that putting up an above ground pool is similar to installing a huge doghouse. If you have the space, we can install it. Choose a place in your yard that you prefer. There is no real right or wrong when it comes to placement. Every county is governed by their own codes and permit requirements. 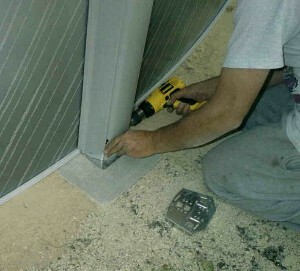 We install in counties that require no permit for an above ground installation and some that are extremely strict about requirements. Check with your local permit office for details about your county’s requirements. Access to the backyard. We grade using a uni-loader (Bobcat). If your yard is fenced, we will need an 8′ opening for clearance. We will not remove or reinstall the fencing. This will be your responsibility. Our grader has run grading equipment for over 30 years. That being said, we take precautions while moving the equipment into the backyard and once we are in the pool area, we stay within the pool area as best as we can. Different types of grass, whether the grass is wet or dry, and the route into the backyard all affect the potential damage when moving our equipment. In most cases damage is little or none. If this is a concern, please express it to us during scheduling. Septic tank location. If you have a septic system, then we will want to know where your septic tank is located. Our machine will exceed the weight requirements of the tank and we do not want to run over it. Where do you want the pool to go? It is very helpful to have the pool placement in your backyard marked upon our arrival. You can mark it with paint, flour, or just stick something in the ground showing where you want the center of the pool to be placed. We will enter the yard with our equipment. We will move the dirt from the high side of the grade to the low side keeping as much of the dirt as we grade within the site. Any grass or dirt necessary to remove from the site will be piled or spread out within a resonable distance from the grading area. This grass or dirt will not be hauled off. 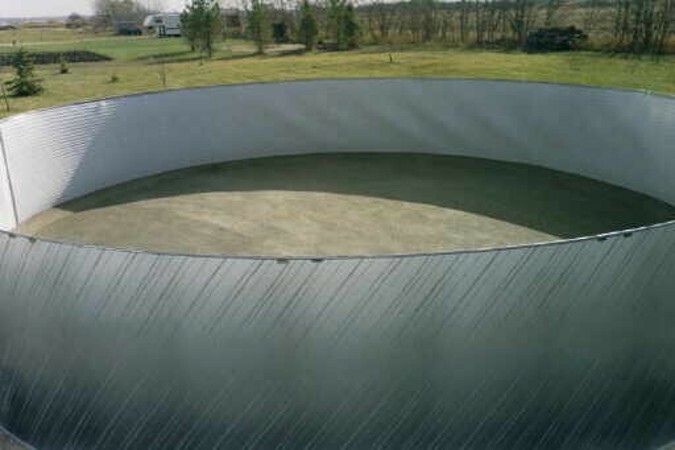 We will leave the level of the site within 2″ and paint out the perimeter of the pool. We will drop the required sand for under the liner in the center of the site. The Pool. Have your pool at your house before installation. We can move the pool once we arrive, so your can store it wherever you choose. Water. Have access to water and a garden hose that will reach to the pool area, because we will begin running water during the installation. Electrical Outlet. We will need to plug in cords to assist with the installation. Most homeowners have an outlet at the back of the house. You will not want to run power to the pump and filter until installation is complete. We hope this has informed you as completely as possible about your up coming swimming pool installation process. If you need any more assistance please contact us at 770-860-9551.